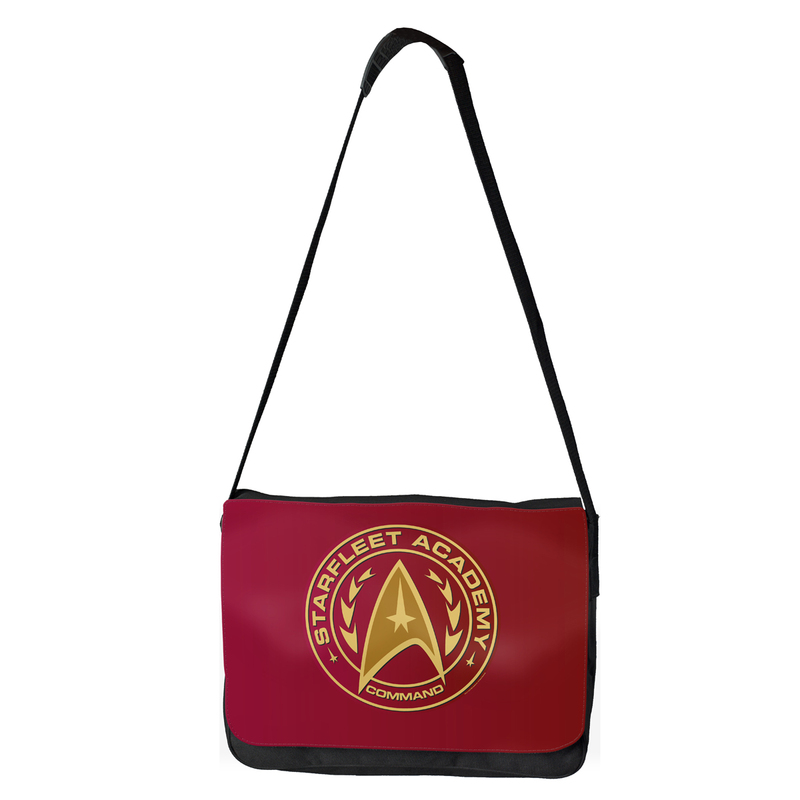 Get the Star Trek Starfleet Academy Command Shield Messenger Bag. 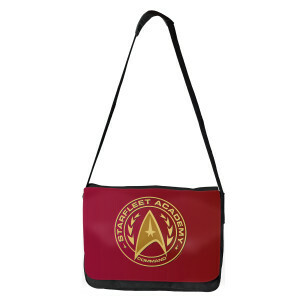 This messenger bag is great for any fan of the Academy. Dimensions: 15.75" x 11" x 4"
Excellent bag and well organized. I love this messenger bag. It's the right size in which to fit a standard 1-2" binder. I use it for transporting a music binder to and from rehearsals in sometimes nasty weather.